In ancient Hawaiian times, Kaneohe was important as an agricultural area, owing to an abundance of rainfall. Today, Kaneohe is mostly a residential community, with very little agriculture. Kaneohe is one of the largest 4 communities located on the Windward side of Oahu. The town boasts great views of the Ko`olau mountains and gives you that island feel every time you see them. Although Kaneohe is a little wetter than the town side of the island, it’s usually a passing shower and this offers many waterfalls sightings on a weekly basis. The climate is very nice in Kaneohe year-round. The coldest night in the winter will be in the upper 50s to low 60s, winter days are in the 70-80F. The summer time is usually 85F and at night it cools to the mid-70s. The only heat wave Kaneohe gets is when the trade winds die and the air is still. Kaneohe is also home to the Kaneohe Marine Corp air station which houses more than 40,000 military serviceman and families. The military is the 2nd largest economic driver in Hawaii behind the tourism industry. Surfing in Kaneohe is difficult due to a large protected bay. The only way to access the outer reefs of the bay is by boat. But if you have a friend in the military, the base hosts two beaches for servicemen and their families. Pyramid rock and North Beach have some of the best waves on the island on North and northwest swell directions. Ideally an easterly or southerly breeze will make it perfect. Only a 25 minute drive out of downtown Honolulu, makes Kaneohe a convenient place to live while not having to commute through hours of traffic. There are 3 main highways and tunnels that allow kaneohe residents to get to Honolulu. Pali highway, Likelike highway, and the H3 freeway offer convenient access to different parts of town. Properties on Lilipuna road offer amazing waterfront views of the Kaneohe Bay. Homes in this neighborhood is minutes away from Windward mall and shopping centers. A quiet peaceful community close to the Kaneohe Yacht club. Many high end real estate properties are found in this area of Kaneohe. The waterfront homes offers amazing views of the Bay and Koolau mountains. There is also a nice park with playground across the street from the yacht club making this a nice neighborhood for children growing up. (price range) Average price for a vacant property is 599k. The least expensive real estate in this neighborhood go for just under $1million, while the high end would be in the upper $3 million dollar range. Kaneohe Bay is the best place to take a boat out in Hawaii, due to its calm protected waters, and amazing anchorages destinations like the Sandbar. The Sandbar can only be accessed by boat and there is only one public marina where you can launch your boat. He`eia harbor offers several boat ramps for launching boats on trailers, a fuel dock, and full service snack bar/ mini mart. When taking your boat to He`eia Harbor, don’t forget to bring your own water hose for rinsing, as the harbor does not provide it. There are two other private harbors in Kaneohe bay, Kaneohe Yacht club, and Makani kai Marina, both require membership, but the slips are all full and wait lists go on for 20+ years. Makani Kai Marina docks are assigned to the gated community homeowners, which makes it a one of a kind Hawaiian private marina living community. Many waterfront homes on Kaneohe bay have private access to the bay from private docks or launch ramps built on the properties. Kaneohe bay sandbar is located about 3 miles from the shore and is the largest natural sandbar in Hawaii. Access to the sandbar is by boat or kayak and is a favorite spot for locals and boating enthusiasts. The sandbar is also a great place to see the Hawaiian sea turtles, manta rays, and many different types of sea life. Windward Mall is located in Kaneohe town and offers the community a variety of shopping on the windward side of the island. The mall offer a variety of clothing stores, salons, and food courts, movie theater and also hosts many community and cultural events in the mall center on weekends. Hoʻomaluhia Botanical Gardens is a 400 acre garden is nestled at the base of the majestic Ko`olau Mountains. You will find plants from around the world in the garden. The garden offers many fun recreational activities such as camping, hiking and bicycling. Kualoa Ranch is also located on the Kaneohe bay, where you will find the famous Chinaman’s Hat island. Many movies were filmed at the ranch like Jurassic Park/ World, Tears of the Sun etc. On Kaneohe Bay there is a nice secret beach around the corner where they filmed “50 first dates” and “Along came Polly. Locals call this sacred place “Hakipuu”. Situated next to the beach, lies an ancient Hawaiian fishpond that has been there for over 800 years. This place is a great location for stunning Koolau mountain views. It is also a popular wedding site that can be arranged through Kualoa Ranch. Kaneohe also has 3 golf courses. Bay view, Pali Golf club, and the Koolau golf courses. Pali and Koolau offer great views of the lush greenery in Kaneohe while the Bay view overlooks Kaneohe Bay. Kaneohe Bay interestingly has an island near the center of the bay called “Coconut Island” or more famously known as “Gilligan’s Island”. This island is the location where they filmed the Gilligan’s island tv show. Presently the island is owned by the University of Hawaii Marine science programs, and is used for research. It also hosts many marine species around there many lagoons on the island. The practice of reef cultivation is also done here by the scientists as many of the reefs in Kaneohe bay have been dying. The island is restricted to students and scientists only but there is a small public side of the island few know about. On the eastern shore on the closest point to Lilipuna rd, you can pull a boat up next to the “No anchorage sign”. There are few rocks to look out for so always be cautious when parking your boat next to the wall. It is also very is to kayak here from the Kaneohe shore. You will see the fence marking the edge of the public side. This is a great place to picnic and enjoy Gilligan’s Island. Friendship garden is a very nice loop trail hike located off Kaneohe bay drive Mauka of the Kokokahi sub division. Turn on Kokokahi pl and drive to the top where you’ll notice a subtle sign “Friendship Garden”. At the entrance to the trailhead you will see 15 flat lava rock beds that lead up to a terrace with a small bench amongst tea leaves. As you go up the trail you will find the mini Japanese tea house situated over a bridge. When the water is flowing, a waterfall will go right under the tea house. Through the trees you will see panoramic views of Kokokahi and Kaneohe Bay. This is one of the best hillsides to see the entire Kaneohe town. Overall Kaneohe offers many most towns cannot offer. A 30 minute drive from Honolulu that offers great living, boating, hiking, cultural, and community activities. It’s a paradise on an island that is mostly a city. Kaneohe allows one to relax. Kaneohe real estate search starts here. 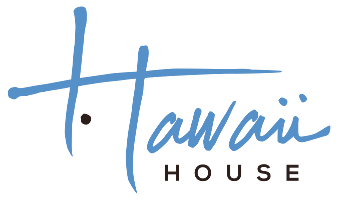 Property listings are update hourly from the Honolulu MLS (Kaneohe homes, condos and Oahu land for sale). KANEOHE FAMILY CENTER. Building Renovations Completed. Totally Re-Painted, Re-Surface and Re-Striping of Parking Area, ADA Ramp, Copper Plumbing, Concrete Spalling, Updated Electrical, Cultured Marble Shower Stalls, Survey with Recorded Encroachment Agreements, Clean Phase I Environmental Rpt., High Exposure Main Street Frontage. Great Investment (Good CAP Ratio) with Improved Rental Cash Flow from Strong Solid Tenants, (19) Total Units, (20) Pkg. Stalls including Handicap Stall, Option for Partial Owner-User. Nestled against the foothills of the Koolaus in Hau'ula, Hale Maluhia lives up to it's namesake as a place of peace and calm. Three duplexes sit on the almost 35,000 sq ft. property along covered parking for up to 12. The original unit includes a 3 bed / 1.5 bath and a 3 bed / 1 bath. The other two are copies of each other offering a 4 bed / 2 bath on one side and a 3 bed / 2 bath on the other. These are great, fully furnished, turnkey rental units for an investor looking for recurring revenue. Each unit has a separate TMK opening the possibility of selling separate units should you wish. Residents will enjoy beautiful beaches just minutes away along with groceries and restaurants no more than 5 minutes up the road. Great country investment property. Ask about seller financing! Rare opportunity to own one of the most remarkable custom-built homes in Hawaii! Truly spectacular ocean and mountain views are framed in every room like magnificent, live paintings. The open floor plan featuring custom-milled Indonesian Merbau hardwood floors, windows and doors; Tuscany Walnut travertine floors; and unique granite counters in the chef's kitchen set this home apart from the rest. Live amongst tropical splendor while being accessible to great shopping, dining and cultural activities. Come home and take refuge in a place that will forever leave an imprint on your soul! Experience magical skies over Mokoliâi, across tranquil blue waters. Spend lazy days soaking up the sun in the expansive oceanfront yard. Kayak, boat, swim, or fish in sparkling Kaneohe Bay, home to sea turtles, monk seals, and more! Ideal, central location makes it easy to enjoy all of Oahuâs attractions & activities, including waterfall hikes & the Kaneohe Bay Sandbar. This is all yours in this unique, fully-remodeled, single-family home, featuring new paint, roof, windows, appliances, AC units, vanities, fixtures, 25 owned & net-metered solar panels, & much more. Layout is configured for up to 5 private areas with separate entrances, perfect for your visiting friends & family, with each space leading to a lanai overlooking the ocean. Furnishings, kayaks, & ocean gear negotiable. Imagine coming home to forever views of Kaneohe Bay and the Koolau Mountains... Situated on a quiet street, this architectural masterpiece is situated on an ideal location for the indoor/outdoor lifestyle. 18' Ceilings in the great room and retractable pocket doors to the lanai make this a great place to entertain or simply relax and enjoy the sunsets from your hot tub off the back yard. This custom designed home by Geoffrey Lewis features gorgeous hardwoods throughout, a stunning kitchen, a master suite to die for and so much more. Bonus detached workshop over the garage. 28 Panel PV system. Must see to appreciate! TROPICAL OCEAN VIEW ESTATE. Exquisite home perched on over 1.5 acres of lush gated hillside overlooking beautiful Kaneohe Bay. Meticulously remodeled with gorgeous Ohia and tumbled travertine floors, mahogany accents, gourmet kitchen w/high-end appliances and unique aquamarine granite. This lovely Philpotts designed interior captures the essence of island living. Home has a 2-bedroom guest suite w/wet bar on the 1st level, a four-car garage, tatami room w/ocean views for meditation/yoga, a Japanese soaking tub in the master bathroom, large screened in lanais on both sides of the house, and a level grassy yard with fire pot for enjoying evenings under the stars. This comfortable home is a quiet and private retreat in a lush and tropical setting only 25 minutes from Honolulu Int'l Airport. DIAMOND in the rough to keep for generations. BREATHTAKING views of Kaneohe Bay seen from the main house. This miniestate bolsters over half an acre with two structures. Large main home with sweeping views of Kaneohe Bay, plus a 2 bedroom 2 bath cottage with superb ocean views of its own. Main house needs major repairs or a rebuild. Cottage is in great condition. Each structure features its own driveway. Relax in the private comfort of your lanai and enjoy the view of the Pacific Ocean and the cool breeze. Possibility of rebuilding or converting the upper house as a duplex since recently approved for a 3rd wastewater hookup as the area restrictions were just lifted in June and itâs zoned for 3way CPR. Breathtaking ocean and mountain views from almost every room of this 2016-built, 5 bed, 5.5 bath custom home. Enjoy the panorama of Kaneohe Bay as it changes: views to Coconut Island, the sandbar, the lush green mountains, and the beautiful blue water of the bay. Large living room windows pocket back opening the house and bringing the outside in. Click REEL or use this link for a tour https://vimeopro.com/mls/kaneohebaydr. This lovely home was built for relaxed, but luxurious Windward Coast living and to take full advantage of the beauty of Hawaii living. Open floor plan is perfect for entertaining, gourmet kitchen, two pantries, separate dining area, office space, split AC throughout. Each bedroom has its own private, spa-like bath retreat. Come experience the best of living on the bay. A rare opportunity for this one of a kind 11-acre plot of land in the desirable Haiku area. Enjoy the lush mountain views, beautiful waterfalls, and ponds all in a tropical country setting. Minutes away from freeway, shopping, and restaurants. This is a very unique and special property. Heavenly Hauula is a custom, oceanfront home on a sandy beach with a tropical estate feel. Located in front of the famous Alligator Pond Tide Pools of Windward Oahu, it is just 15 minutes from the North Shore's Turtle Bay Resort and all its amenities, including restaurants, golf, and world-class surfing. This income-generating home SLEEPS 10+! The upstairs features two master bedrooms, each with its own en suite bath, as well as a full kitchen and a spacious living room with vaulted ceilings. The downstairs includes a great room with high ceilings and an open floor plan, another beautiful full kitchen, and a dining area with pocket doors opening to a large lanai that overlooks the ocean. There is also an oversized bathroom with a dual-head shower, as well as a laundry room. The home offers an automatic gate for privacy and security. "Majestic Hakipu'u" True essence of old Hawai'i. This gated estate is privately nestled in the hills with views of the ocean and Chinaman's Hat, once owned by Queen Kapi'olani. A one-of-a-kind, single family classic Kama'aina home built in 1941, designed by H. Drewry Baker, who was lead architect for Doris Duke's Shangri La. Lavish tropical landscaping with matured fruit and flowered trees enhances this nearly 2 acre property. Living room has stunning redwood ceilings and glass doors that glide open to create indoor/outdoor living. Kitchen, maids quarters, and expansive master suite has been tastefully upgraded. There is a convenient large carport area. Also a second versatile structure that was expanded and rebuilt 2013. Only 15 min drive from H3/Likelike Hwy. Shown by appointment only. Opportunity knock once!!! Desirable location in spacious 31,295 sq ft lot in Kaneohe. Consist of 3 homes: 3 BR, 1 BA each. Currently being rented. Sold "AS IS" condition. PLEASE GIVE TENANTS QUIET ENJOYMENT. Buyer to do its own DUE DILIGENCE INSPECTION. MOTIVATED SELLER. Welcome to Cliffs at Pohakea - An exclusive enclave of homes overlooking Kaneohe Bay. This is a rare-developer owned unit first time to hit the market. Open floor plan with high ceilings and great spaces for dining, entertaining and enjoying the views from lanais or terraced back yard. A generous master suite, office space and more... Tons of storage as well. MODERN CONTEMPORARY â Single Level Home in Kaneohe with lots of room for expansion. Complete Remodel in 2018. Bay View from Family Room. Gourmet Kitchen with marble counter tops/back splash, stainless steel appliances and spacious pantry. Split A/C, Solar PV Skylights, Bulletproof WOCA Brazilian Teak Flooring throughout, New Roof, New Paint, New Ceiling Fans and Lighting throughout. Custom redwood counter for passthrough. Large covered lanai with new salt finish. Large yard with professional tropical landscaping. Near Aikahi Elementary school and shopping center. Easy access to Marine Corps Base, H-3, Likelike and Pali Highway. Views of tranquil Kaneohe Bay will leave you breathless from this remodeled executive home. You will love entertaining at the large BBQ pavilion while enjoying the ocean and peaceful Koolau Mountains. This home has been renovated with pride of ownership: Brazillian Camaru floors, new roof with 36 owned PV panels, new windows and doors, 200 amp electrical, heated 40' lap pool, mature landscape, travertine tile, first floor full bathroom and private gym, Kitchen has built in kitchen nook, tons of storage and too many upgrades to list. Super fabulous location- close to the H-3 off ramp and 5 minutes to Kailua. Very private and peaceful. Unobstructed ocean views! A quintessential blend of sophistication combined with the simplicity of an everyday lifestyle. You will appreciate this thoughtfully designed and upgraded home that sits just above beautiful Kaneohe Bay with unobstructed sweeping views of the translucent and colorful turquoise hues of the ocean. This home offers the perfect balance of modern elegance and tranquility, from the amazing lush landscaping on the 25,039 sq ft lot to a gourmet kitchen along with the convenience of an elevator that stops on each floor. Also featuring a 3 car garage, central vacuum system, fire sprinkler system, a large storage room and an owned photovoltaic solar system. Over $300,000+ in renovations/upgrades done to this immaculate home. Pride of ownership throughout. Please see the attached video. Attractive, spacious, well-kept two story 9-bedroom, 6 bath home + 1 separate cottage/half bath set in the midst of beautiful landscaping. Great for extended family living! This versatile 2-story home is arranged into 3 spacious living areas, each with separate entries-- UPSTAIRS 1 - 4br/2b with entertainment deck, & DOWNSTAIRS 1 - 3 br/2b, + 1 - 2br/2b that can be combined into a 5 br area 1 - cottage with 1/2 bath can serve as a home office or workshop. 6-car carport + 5-6 tandem pkg fronting carport. Leased 70 solar roof panels/2 hot water heating systems help to save on electric bills w/ 4 split a/c, 4 window a/c, & ceiling fans throughout to cool this beautiful home. Deeded access to Kaneohe Bay is steps away. Gorgeous Island Style 4/2.5 home with no detail left out: New roof, owned photovoltaic system, beautifully updated kitchen and bathrooms, granite counters, custom cabinets, and California closets systems throughout, updated windows, doors, plumbing, electrical & hot tub. Home sits just above Kaneohe Bay overlooking the turquoise ocean, beautiful views of the Bay, Coconut Island and the green Ko'olau Mountains. Gorgeous landscaping adds to the ambiance with fruit trees and tropical flowers-perfect indoor/outdoor living. BBQ and entertain your friends and family on the large lanai, watch sailboats races, or just relax in the hot tub as you take in the beauty and tranquility. Located on Lilipuna Road, provides access to all the major exit roads and a few minutes away from the Mall, and more! Custom carved-wood entrance doors open to your luxuriously appointed, spacious custom-built home! Just steps from Kaneohe Bay. Enjoy kayaking, paddle-boarding & fishing with spectacular views of the Sandbar Ko'olaus and Moloka'i! The Travertine tiled open floor plan, including spacious gourmet-style kitchen, allows ample room for dining and entertaining, spilling out onto the lanai for evening drinks! Guest bedroom and full bath on first floor, with 3 bedrooms upstairs. Master bedroom and lanai have beautiful views of the bay! Plus a great room and wet bar. Landscaped yard includes sprinkler system and showcases the tropical ambiance, adding privacy and accentuating the views. Walk-in closets, custom baths and separate laundry room make this a tropical paradise for comfortable living! Welcome to the gated community of Haiku Plantations, nestled against the Koâolau Mountain Range with sprawling 1+ acre estates and full-time security. This 4 bedroom, 4 bathroom home is a nature enthusiast's paradise with a natural stream flowing through the property and dozens of tropical plant varieties. The well designed, tastefully upgraded indoor-outdoor floorplan showcases the ample greenery and emanates scenic tranquility. Begin each day with breathtaking mountain views from the master suite and tree-top master balcony. The open-concept gas range kitchen, great room, and outdoor deck carry unparalleled ambiance for entertaining. Rarely available and much sought after, Haiku Plantations awaits! Resort Style Retreat. 4100 + SF architecturally dramatic home w/ 2 acres of lush tropical landscaping around the house, pool & spa and a panoramic view to the bay and ocean from most rooms. The name of the home is MOANA, a Hawaiian word meaning Broad Expanse of Ocean. Wonderful privacy 600 feet off of convenient Kamehameha Highway is hard to find. Built 90 - remodel 13. Amazing panoramic OCEAN, MOUNTAIN, and MOKAPU PENINSULA VIEWS!!! Home designed to take advantage of the unbelievable views that surround you. Watch the clouds roll over the many shades of blue in the Pacific right outside your huge wrap around covered lanai-perfect for entertaining. Beautifully updated 3/2 home has spacious 1/1 with separate entry on lower level; perfect for multi family or visitors. Large two car garage with laundry plus separate laundry in lower level. Split AC's in rooms along with 34 owned PV panels alleviate the high electric bill stress. This island inspired home features gorgeous high vaulted wood beam ceilings, parquet wood flooring, lots of windows throughout allow Windward breezes and views of the gorgeous ocean and coastline around you. MUST SEE! OCEAN BAY PROPERTY with DEEP WATER BOAT CHANNEL. Relax with the cool breezes and calm waters on this Kaneohe Bay frontage property as the "Honu" (turtles) and "Oama" swim right into your backyard. Gorgeous views of the Koolau Mountains, Mokoli'i (Chinaman's Hat Island) and the protected area of Kaneohe Bay. Conceptual architectural drawings and plans for remodeling comes with the property for your future use. Beautifully designed with high ceilings and multi levels, this spacious home commands sweeping views of Kaneohe Bay. Enjoy indoor/outdoor living, excellent for entertaining. Double doors in the enclosed garage open to a grassy courtyard, perfect for parties. Thereâs even a stainless steel sink and counter in the garage for easy clean-up. This neighborhood is a hidden gem offering great privacy, easy access to H-3, close proximity to the Kaneohe Yacht Club, and it's located within the Kailua School District. The large-sized property is adjacent to preservation land, placing your Hawaiian retreat at the top of the hill. Over 14,000 sq. ft. land area zoned R-5 lends itself to new possibilities. This is a tucked away Kaneohe Bay waterfront property that is setback more than 300ft from Kamehameha Highway with over 11,000sf of useable land available. Search these parameters on the Windward side for an oceanfront property and see the results. The property consists of a single family home currently that has three separate living areas, two of which generate rental income. If you are a buyer wishing to own on the Bay either as an investment or a home to develop into your specific dreams, here it is. There are less than a dozen waterfront properties in this area of the Bay. You are minutes to paddling, sailing or motoring to the Sandbar and enjoying all this reef-protected Bay has to offer. No high water wave action. Experience everchanging sunrises and moonlit nights. Private, beautiful, functional 3bd/3bth home on over an acre feels like a retreat. Recently remodeled features gourmet kitchen with custom tiled backsplash, cherry cabinets, granite countertops, recessed lighting, eating area and separate dining room. Porcelain flooring constanly looks polished. Master bedroom has sitting area, private bath with stunning custom sinks, large walk-in closet with organizers, and private deck. Large bedrooms, large closets with closet organizer systems. Over 1 acre of level grass for gardens and entertaining. Mature avocado tree. Lots of storage including storage shed. 2-car garage and several parking spaces. 17 PV Solar panels substantially reduce electricity cost. Flood zone X means no flood insurance required. Most of furnishings can stay, even grand piano. Two spacious homes (3 bed, 2 bath and 2 bed, 1.5 bath) on a large property in very desirable Ka'a'awa. Enough land to build a 3rd home on this R-5 zoned property. Detached garage with large recreation room and wet bar on the second floor. Excellent space for an extended family. Large property of 18,779 square feet. Perfect for rental property or family compound. Great rental income and excellent tenants of $6,700 per month with tenants paying electric. Miles of white sandy beach is one block away and the Ko'olau mountains are your backdrop view. Walk to Elementary School, post office, bus stop, store and Uncle Bobo's for some BBQ! Come home to country living at itâs finest. This farm house is surrounded by the Koolau mountain range and near the Kahaluu stream. The farm house has 5 bedrooms, 3 bathrooms, with 3 separate entrances. The property also has a studio cottage and barn. The number of square footage is larger and doesnât match tax records. This property boasts over 2 acres of farmland, containing avocado, papaya, mango, banana, star fruit, and tropical trees. Lotâs of potential for farming and storage space. To be sold as is. Large, 4 acres parcel around the first bend on Pulama Road in Kahaluu. Parcel faces East with wonderful morning sun and potential for ocean views! Owner had planned on a farm house with kennels - plans available. Previous owner had planned on a PUD development. Country cluster development possibility? Owner will share all documents in their possession. Buyer to do own due diligence. Great parcel, just never had the time to develop... Very special and private parcel. Gentle topography street side and for quite a distance up the valley. 17,314 sq. ft. terraced land, 600 sq. ft concrete storage building, 190 sq. ft under dwelling storage pad. Wet bar/BBQ partially covered deck area. PV/Solar. Screened deck and hot tub. Wood floors, granite counters. Close to H3, MCBH, park, shopping, bus, and schools. Mountain and residential views. Impeccably maintained. Welcome home to this picture perfect 5 bedroom 3 bath home is lush and green Ahuimanu featuring spectacular Koolau views and a short distance to entertainment, shopping, and freeway access. You will enjoy all of the beautiful finishes and upgrades this newly built (2 yr old) executive home has to offer. This flexible floorplan has so much to offer and may possibilities. Downstairs features 2 beds/1 bath/wet bar with a separate entrance.Upstairs is 3 bedrooms and 2 baths with a spacious gourmet kitchen. This home can accommodate privacy/separate living yet also flows seamlessly for a large Ohana. Downstairs space is also ideal for a home based business. There is plenty of parking, storage, and yard space. Attention discriminating buyers who want it all, this property is for you! Rarely available custom built home in great area off Lilipuna Road. Large home features 4 bedrooms and 4 baths up stairs and 2/1 down with separate entry. Home shows real pride of ownership with new kitchen cabinets, counters, appliances, baths, flooring painting and roof! Just gorgeous and in move in condition! Already tented and surveyed! Sweeping views of Koolaus and Kaneohe town. Must see! This spacious home at the edge of Haiku Village is surrounded by the green walls of the Koolau that shelter the Windward coast. The house embraces a private fenced garden, and the cool forest, cliffs and sky above. Inside you find ânewâ everywhere, from gourmet kitchen to luxury baths. Remodeled and renovated, this beautiful home is a triumph of design and large spaces. A stairway leads to a second floor with forever views, a space that can be guest quarters, retreat, meditation, or entertainment, yours to choose. Photo-voltaic and hot water solar panels, with Tesla Powerwall, means your home saves you money, and respects nature as well. Here is a home that honors the Hawaiian command to "Malama the Aina", care for the land. Your pride of ownership is instant and abiding. MULTI FAMILY LIVING with separate entrances. Beautifully upgraded and move-in ready, with over $100,000 in upgrades (2016/2017). This multi-generational or extended ohana home has 3 bedrooms/2 baths with a spacious family room upstairs. There is a privacy door downstairs, at the entrance of the 2 bedrooms/1 bath living area with a wet bar. The downstairs has ceramic tile flooring throughout, upstairs has vinyl plank flooring. Kitchen, wet bar and bathrooms feature solid wood cabinetry and quartz countertops. Plantation shutters and split AC units throughout the home, 46 owned photovoltaic panels and solar water heater. Perimeter of the house has security motion sensor lights. Easy access to Likelike Highway and H-3. CPR almost complete: brand new concrete driveway/parking (approx sale price:2 bd home $550,000, 3bd home $670,000)in a beach front community. (separate elect/water meters too). Great ocean view from deck of larger house of 4 decks, steps to the beach. NO HOUSE IN BACK OR FRONT OF THIS LAND. The larger house (about 2000sf,total 3 baths) is 2 bdrm upstairs with 2 baths, 1 bedroom downstairs with its own bath. (like a in-law unit, with 2 decks). 2 decks on upstairs, front and back of this home offers both mountain and ocean views. The detached 2 bedroom home with 2 decks has beautiful mountain and ocean views. The 2 bedroom 1 bath, is vacant and newly painted and the larger house is also vacant . flood zone:front house "X" back house "AE". (need to verify). exact sq ft may differ from tax record. Wow! Absolutely fabulous views from Chinamanâs Hat to Kaneohe Bay! This 5-bedroom 4 bath home offers plenty of room for extended family! Generous âgreat roomâ with expansive ocean-mountain views and room to relax, dine and entertain. Unique round-house architecture maximizes the ocean views. Welcoming entry, light and bright kitchen and garden deck are offer an easy lifestyle. Large storage/workshop area off the 2-car carport. Leased 36 panel Photovoltaic system to keep electricity costs down. (20 year lease paid in advance.) Close to Heeia Boat Harbor, Windward Mall, shopping, dining and easy commute to Likelike, H-3 or Pali Hwy. Home warranty included. Tax records differ. Subject to tenant lease June 30, 2019. A perfect place for the entire extended family to be together under one roof! This fully permitted home in the Mahalani neighborhood features 3 bedrooms and 2 full baths downstairs, plus 4 bedrooms and 2.5 baths upstairs. Friends and family can gather in either upstairs or downstairs living rooms, or take the party outside to one of the lanais or the beautifully landscaped yard. 2 car garage, plus fit 2 more in the driveway. So convenient to Kaneohe town shops, H-3, Likelike, and Pali highways, and the water! There are 3 public water access points in the neighborhood. This home is the definition of pride of ownership with its many recent updates - this is a must see! One of 3 custom brand new home just completed and ready for new owners to move in.Each home just over 2,500 sq. ft. of living area, and each lot just under 9,000 sq. ft. All appliances are included. Home equipped with interior sprinkler system makes for lower home owner insurance premiums. Entrance will be on Ahilama Rd Supplements attached has CPR site plan and floor plans. No maintenance fees FYI: these are project sales there is no negotiating on price. One of 3 custom homes to be built. Entrance will be on Ahilama Rd. This unit B has not started construction yet. Units C and D are almost finished and should be ready for occupancy by mid April 2019. Supplements attached has CPR site plan and floor plans. No maintenance fees, just shared driveway for 3 new homes. Get in now while home is being constructed so your clients can pick finishes and customize to their needs. FYI: these are project sales, there is no negotiating on the sales price. One of 3 custom brand new home just completed and ready for new owners to move in. Each home just over 2,500 sq. ft. of living area, and each lot just under 9,000 sq. ft. All appliances are included. Entrance will be on Ahilama Rd. Supplements attached, has CPR site plan and floor plans. No maintenance fees FYI: these are project sales there is no negotiating on price. This very well maintained home in Pikoiloa has been used as a licensed care home for several years. Very large interior with extra wide hallways and doorways. Second floor has 2 bedrooms / bath and living area that was used by caregivers. Some mountain view from the upper level. Covered lanai for entertaining. Nice storage areas located in the yard. Leased photovoltaic system for low electric bills. Many possibilities for this large versatile home in Kaneohe. Don't worry — we'll add the link to the listing for you!